Two upcoming film screenings at the Toledo-Lucas County Public Library will focus on Muslim topics, with discussions led by UT-affiliated scholars. You’re invited to join us at one of the last events in our year-long Muslim Journeys series on two Mondays in October. These two films are also part of the public library’s Film FOCUS series, running every Monday until October 21st. Koran by Heart (Monday, October 7) and The Light in Her Eyes (Monday, October 21) will be shown at 6:15 p.m. in the McMaster Center at the Main Public Library in downtown Toledo, 325 Michigan St. The film and parking is free! These two documentaries illuminate unique aspects of Muslim culture. Koran by Heart features three children competing in the test of memory and recitation known as the International Holy Koran Competition. 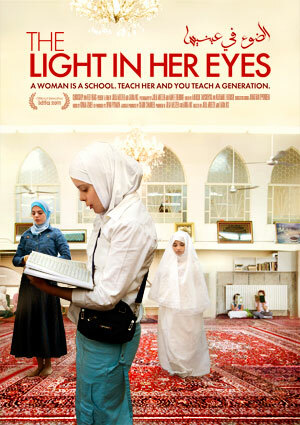 The Light in Her Eyes focuses on a Qur’an school for girls in Damascus, Syria. Each film will be followed by an audience discussion led by a prominent scholar: Dr. Ovamir Anjum, Imam Khattab Chair of Islamic Studies at UT and Sarah Anjum, J.D., B.S. Near East Studies, University of Chicago. This entry was posted in Diversity Related, Events by Wade. Bookmark the permalink.